Kentavious Caldwell-Pope and LeBron James lead Los Angeles past Washington. Donovan Mitchell scores 19 points, Rudy Gobert adds a double-double as the Jazz defeat the Wizards. Bradley Beal scores 23 points, Thomas Bryant adds 21 off the bench as Washington beats Orlando. Trevor Ariza scores 27 points in Washington's loss to Minnesota. Bradley Beal scores 30 points and adds seven rebounds and eight assists as Washington drops Dallas. Scored a career-high 40 points and drained eight three-pointers at PHI (3/1)...Had 25 points on 10-of-13 from the field vs. MIA (4/14)...Scored 23 points and grabbed seven rebounds vs. PHX (1/24)...Had 23 points, 14 rebounds and five steals vs. HOU (1/11)...Scored 21 points and grabbed 10 rebounds at NOP (1/8)...Had 15 points, 11 rebounds, six steals and four assists at DET (12/30)...Scored 27 points and grabbed eight rebounds at BOS (12/21)...Missed five games (11/16-11/23) due to a strained right hamstring suffered at SAS (11/13). 2012-13: Averaged 9.5 points, 4.8 rebounds and 2.0 assists in 56 games (15 starts)…Had four games of 20+ points…Posted two double-doubles on the season…Averaged 11.7 points and 5.2 rebounds while shooting .415 from three-point range in 22 games after the All-Star break…Surpassed the 5,000 career-point mark vs. CHI (4/2)…Scored a season-high 26 points to go along with 10 rebounds vs. CHA (3/9)…Pulled down a career-high 15 rebounds at ATL (11/21)…Scored 25 points and nailed a career-high seven three-pointers at LAL (3/22)…Missed 26 games due to injury/illness; 17 games due to a left calf strain (12/4-/16); one due to a sore left knee (3/16); three games due to the flu (3/23-3/27); five due to a sore left knee (4/9-4/17). 2011-12: Averaged 10.8 points, 5.2 rebounds and 3.3 assists in 41 games…Led the Hornets in scoring six times, rebounding four times and assists three times…Recorded five 20-plus games, and recorded double-digit points 20 times…Was the only Hornet to start every game in which he played…Had 20 points, six assists, four rebounds and four steals at SAC (3/7)…Totaled 21 points, six rebounds, five assists, one steal and one block at IND (2/21)…Scored 25 points to go along with eight rebounds, three steals and two blocks at NYK (2/17), becoming just the second Hornet in franchise history to record those totals in a game…Recorded a season-high 46 minutes played while leading the team with 23 points and nine rebounds and also contributing five assists and two steals vs. POR (2/10)…Poured in 26 points, seven rebounds, four assists and three steals at DET (2/4)…Had 18 points, seven assists, five rebounds and four steals in first game back from injury vs. MEM (1/18)…Missed 15 games due to injury (eight due to a groin strain, five due to sore right ankle and two with an illness), and 10 games due to coach’s decision. 2010-11: Averaged 11.0 points, 5.4 rebounds and 1.6 steals in 34.4 minutes over 75 games for the Hornets (all starts)…Ranked ninth in the NBA in steals per game…Scored in double figures in 47 games, had 20-plus points three times and had three double-doubles on the season…Scored 21 points with eight rebounds and three steals vs. PHX (4/8)…Had 19 points and six steals vs. HOU (4/6)…Had 15 points and 10 rebounds vs. GSW (1/5)…Missed seven games due to injury (three for right medial ankle sprain, two for strained left adbuctor and one for tendinitis, right ankle). 2009-10: In his only season with the Rockets, averaged career highs of 14.9 points, 5.6 rebounds, 3.8 assists and 1.75 steals in 72 games (71 starts)…Also made a career-high 136 three-pointers (.334, 136-407 3FG)… Joined Oklahoma City’s Russell Westbrook (+2.6) and teammate Aaron Brooks (+2.3) as the only qualifying players in the NBA with an increase of two assists per game from 2008-09 (1.8) to 2009-10 (3.8)…Finished sixth in the NBA in steals per game (1.75), which included 42 multi-steal outings…Nabbed at least one steal in 19 straight appearances (11/6-12/16)…Recorded 12 20-point games, including the first two 30-point efforts of his career…Reached double-digit scoring in a season-best 13 straight contests (12/26-1/22)…Had six double-doubles, including the first triple-double of his career with 26 points, 10 assists and 10 rebounds vs. NOR (4/14)…Netted a career-high 33 points vs. Portland (10/31), including a 16-point first quarter and a 21-point first half…Served a one-game NBA suspension (12/15/09)…NWT for one game (2/9/10) due to a left hip pointer…On the Inactive List for seven games (2/24/10-3/7/10) with a severe left hip pointer…Originally suffered the injury in the fourth quarter vs. Philadelphia (2/6/10) and re-aggravated the hip vs. IND on 2/20…DND for one game (4/2) due to flu-like symptoms. 2008-09: Appeared in a career-high 82 games (20 starts) with the Los Angeles Lakers, averaging 8.9 points 4.3 rebounds, 1.8 assists and 1.67 steals…Ranked ninth in the NBA in steals per game (1.67) and second in the league in steals-per-turnover ratio (1.57, 137 steals, 87 turnovers)…Scored in double figures 39 times, including one 20-point outing. 2007-08: Played in 35 total games (three starts) and averaged 5.5 points, 3.1 rebounds and 1.3 assists with the Magic and Lakers…Acquired by the Lakers from Orlando on (11/20)…Averaged 3.3 points and 2.2 rebounds in 11 games with the Magic…In 24 contests with the Lakers (three starts), averaged 6.5 points, 3.5 rebounds, 1.5 assists and 1.08 steals…Missed the final 44 games of the regular season due to a fractured right foot (1/21-4/15)…Scored in double-figures eight times overall (six with the Lakers). 2006-07: Appeared in 57 games (seven starts) for the Magic and averaged 8.9 points, 4.4 rebounds, 1.1 assists and 1.04 steals per game…In his seven starts, averaged 10.4 points, 4.6 rebounds, 2.0 assists and 1.71 steals in 29.0 minutes…On the Inactive List for a total of 24 games, missing five contests (11/1-11/8) due to a sore right foot and 19 games (1/12-2/21) due to a sprained MCL (right knee)…Was a DNP-CD one game (2/23)…scored in double figures 24 times, including a pair of 20-point performances…Registered one double-double with 16 points and a season-high 10 rebounds (12/30) vs. MIA. 2005-06: Appeared in 57 contests with both New York and Orlando and averaged 4.6 points, 3.8 rebounds, 1.1 assists and 1.0 steals per game…Was a DNP (CD) 12 times (eight with Orlando)…On the inactive list 12 games, including two outings (1/30-1/31) due to back spasms…Began the season with the Knicks and averaging 4.6 points, 3.8 rebounds, 1.3 assists and 1.19 steals in 36 games (10 starts)…In 21 games with the Magic, averaged 4.7 points and 3.9 rebounds…Scored in double figures seven times (four with Orlando). 2004-05: Played in 80 games during his rookie campaign with New York and averaged 5.9 points, 3.0 rebounds and 1.1 assists per game…At the time, became the youngest player to ever wear a Knicks uniform (19 years, four months and four days old)…His 80 games and 1,382 minutes were the most played by a Knicks rookie since Greg Anthony (82 GP in 1991-92). Selected by New York in the second round (43rd overall) of the 2004 NBA Draft…Traded by New York along with Anfernee Hardaway to Orlando in exchange for Steve Francis on Feb. 22, 2006…Re-signed as a free agent with the Magic (7/27/06)…Acquired by the L.A. Lakers from the Magic in exchange for Brian Cook and Maurice Evans (11/20/07)…Signed by Houston as a free agent (7/8/09)…Traded to New Orleans in a four-team trade that sent James Posey and Darren Collison to Indiana, Courtney Lee from New Jersey to Houston, and Troy Murphy from Indiana to New Jersey (8/11/10)…Acquired by Washington along with Emeka Okafor in exchange for Rashard Lewis and a 2012 second-round pick (46th overall) (6/20/12). Declared for the NBA Draft following his freshman campaign at UCLA…Played in 25 games (23 starts) in his lone season with the Bruins…Averaged 11.6 points, 6.5 rebounds and a team-high 1.7 steals in 2003-04 during his freshman season…Earned All-Pac 10 Freshman Team honors. 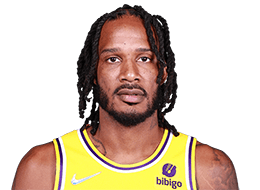 Born Trevor Anthony Ariza on June 30, 1985, in Miami, Fla….Has a son, Tajh…Named a Parade Second-Team All-American after prep career at Westchester High School in Los Angeles…Had jersey #4 retired by Westchester…Draws inspiration from the memory of his younger brother, Tajh, who died in a 1996 accident…Founded The Trevor Ariza Foundation, which is a non-profit organization dedicated to the support, information, education and advocacy of asthma disease…Primary goal of foundation is to increase awareness and educate patients and the general public about factors contributing to health problems in allergic and non-allergic asthmatic athletes and children…Served food to senior citizens at the Senior Luncheon in December of 2011…Met with students of the Most Valuable Pupils program presented by Chevron prior to the January 16, 2012, contest vs. POR…Volunteered to help rebuild a house with Habitat for Humanity in February of 2012…Participated in a Reading Timeout to stress the importance of reading at Woodland West Elementary.